Essex County Fire & Rescue Service’s road traffic collision extrication team achieved its best result to date at the National United Kingdom Rescue Organisation (UKRO) Challenge. The Essex team was one of 23 teams from around the UK which took part in the various challenges, with the scores being averaged out over the two days of competition. At the end, the Essex team achieved a very creditable fourth position overall at the event which took place at the Fire Service College in Gloucestershire on 30 July 30 and 1 August. 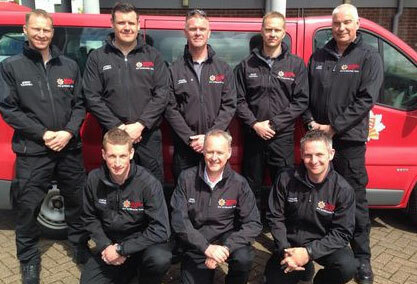 With the top six teams having gained entry to the World Rescue Organisation (WRO) Challenge, the Essex team will compete in Portugal in October 2015. Divisional Officer Nigel Dilley, the extrication team manager, said: “The team put in an excellent performance dealing with two extremely challenging scenarios over the two days of competition which has been rewarded with a fourth place finish. “Knowing how the team has developed over the last 12 months I was certain they were capable of a top 10 finish. However, as it turned out they exceeded all expectations, coming fourth and earning a place to represent the United Kingdom on the world stage in Portugal. Last month the extrication team finished runner up in the Humberside Regional Road Traffic Collision and Trauma Challenge which was held at Seven Lakes Country Park, Crowle on 11 July.